The Hotel was granted the title of Best Luxury Hotel in Indonesia. 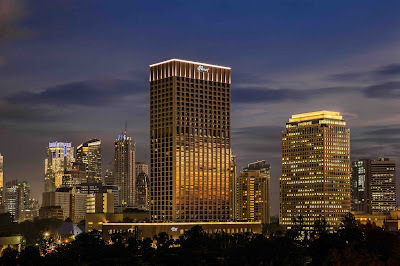 Nestled in the prestigious Senayan Square, Fairmont Jakarta provides luxurious convenience to its guests, offering 308 well-appointed guest rooms and suites, 108 Sky Suites, 10 distinctive restaurants, bars and lounge as well as connectivity that brings the best of the city to your doorstep. 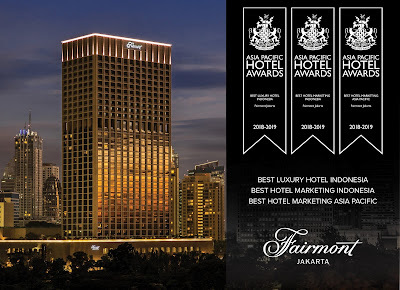 Two Best Hotel Marketing awards were won by Fairmont Jakarta, both for Indonesia and Asia Pacific. Within the past few months, Fairmont Jakarta held various prestigious events that were the talk of the town. In September 2017, the Hotel had its first series of “When Jakarta Meets London”, collaborating with its sister hotel, The Savoy, in London by flying in their executive chef, pastry chef and mixologist. The event showcased different offerings on each night within a week, from British Afternoon Tea, cocktail night, ‘Be A Bond Girl’ party to a British gastronomic experience. The event was in partnership with luxury brands like Bentley, Jaguar, The Time Place, and Prestige Indonesia magazine. When Jakarta Meets London was the kick off for future destination events, as the Hotel will be throwing “When Jakarta Meets the USA” in late 2018. Closing the year of 2017, Fairmont Jakarta collaborated with BVLGARI by having a BVLGARI-themed Christmas Tree that was showcased to the guests at a Christmas Tree Lighting ceremony at the Main Lobby. Part of the festivities was also the partnership with Indonesian celebrity chef, Farah Quinn, who contributed her creations to the Hotel’s Christmas Afternoon Tea. 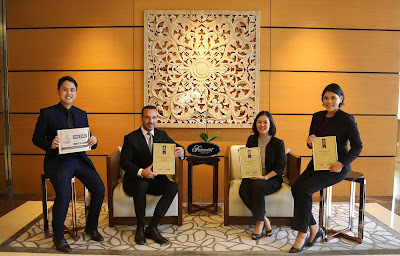 The Hotel continued its partnership with BVLGARI in March 2018 when Peacock Lounge launched its “Forever Love” Afternoon Tea, inspired by the latest collection of BVLGARI. The most recent one was the “Royal Wedding Celebration at Fairmont Jakarta” where the Hotel commemorated the royal wedding of Prince Harry and Meghan Markle by having various activities throughout the weekend of 18-20 May 2018, from wedding exhibition, fashion shows by Indonesian high end bridal brands, Sebastian Sposa and Wong Hang Distinguished Tailor, Royal Afternoon Tea, and live streaming of the royal wedding from London. During the celebration weekend, Fairmont Jakarta showcased impressive displays at its Lobby for guests to enjoy, from the newest Rolls-Royce Phantom VIII, a 5-meter wedding cake by famous cake designer and a replica of St. George’s Chapel made by the number one wedding decorator in Indonesia. Continuous efforts have been shown especially by the marketing department of the Hotel to ensure its brand positioning grow stronger by setting the benchmarks through various marketing initiatives. 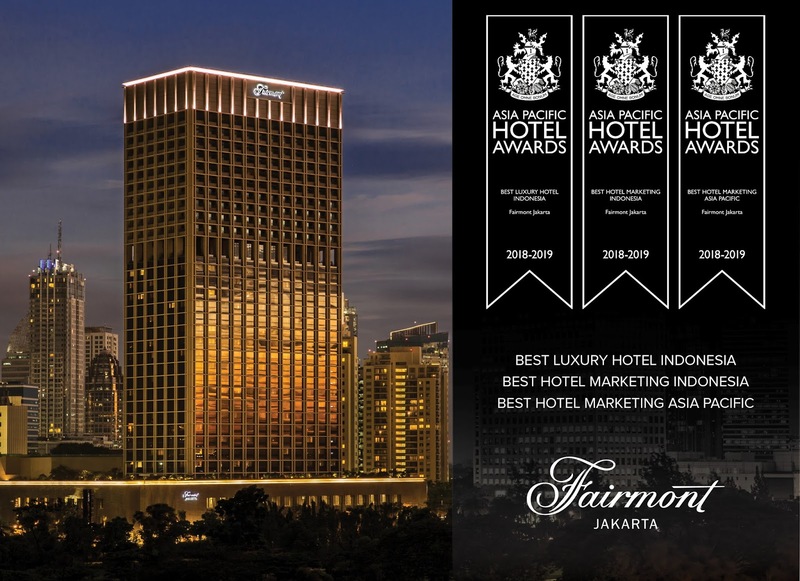 Fairmont Jakarta also receives the recognition of International Five-Star Hotel standards from the International Hotel Awards. The International Hotel Awards are the international 5-star standard of hotel ratings who provides 5-star accolades at an international level. Its global competition determines the finest hotels and hospitality companies in the world. The International Hotel Awards were developed to identify, highlight and reward excellence throughout the global hospitality industry throughout a wide range of areas. In addition to categories for several types of specialty hotels and categories by hotel size, there are also categories for best hotel architecture, construction, interior design, marketing and website. There are 17 categories to choose from. 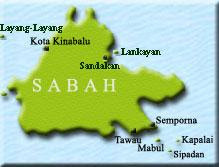 5-star awards for each category are awarded on a national level before going on to compete on a regional level. 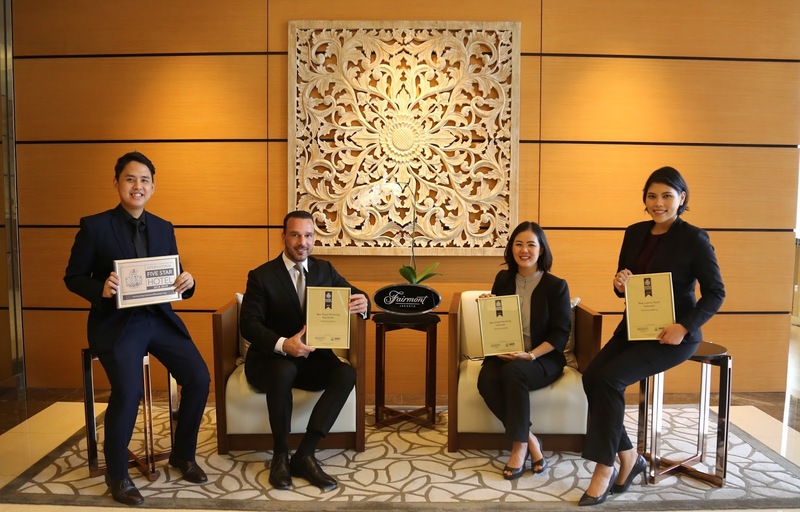 The regional winners are automatically entered into the overall International Awards, which ultimately determine the world’s finest resorts and hotels. Strategically located in the south end of Jakarta’s business district, Fairmont Jakarta is nestled in the prestigious Senayan Square – offering magnificent views of the hotel surroundings, from the lush green golf course across the hotel, the Gelora Bung Karno landmark, to Jakarta’s city skyline. The hotel comprises a total of 488 rooms, consisting of 380 well-appointed guestrooms and 108 Sky Suites that offer the best of both suite-style living and the comfort of home. Facilities range from various restaurants, bars and lounges, a 1,200 m2 Grand Ballroom and function venues that are capable of accommodating any type of event, to a 900 m2 Willow Stream Spa. The hotel is conveniently linked to Plaza Senayan and Sentral Senayan office towers through an underground passageway. Fairmont Hotels & Resorts connects guests to the very best of its destinations worldwide, providing travelers with memorable travel experiences, thoughtful and attentive service and luxury hotels that are truly unforgettable. Each Fairmont property reflects the locale’s energy, culture and history through locally inspired cuisine, spirited bars and lounges and distinctive design and decor. With more than 70 hotels globally, and many more in development, the Fairmont collection boasts some of the most iconic and distinctive hotels in the world. This extraordinary collection includes The Plaza in New York, The Savoy in London, Fairmont Grand Del Mar, Dubai’s Fairmont The Palm, Fairmont Peace Hotel in Shanghai, Fairmont San Francisco and Fairmont Le Château Frontenac in Québec City. Fairmont is part of AccorHotels, a world-leading travel & lifestyle group and digital innovator offering unique experiences in more than 4,100 hotels, resorts and residences, as well as in over 10,000 of the finest private homes around the globe. For more information or reservations, please visit fairmont.com. 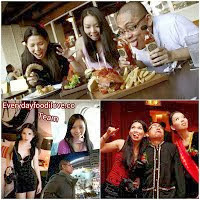 Become a fan of Fairmont. Follow us on Facebook, Twitter, Instagram, Pinterest, and Fairmont Moments. For career information and opportunities, please visit fairmontcareers.com.